Our Chardonnay offers ripe aromas of tropical fruit complemented by a hint of vanilla. The palate ponies up flavors of juicy citrus and lemon peel with bright acidity and restrained oak. Enjoy this wine with fresh caught fish, grilled poultry, or garden salad. Great wines cannot be made without great fruit, which is why we seek to discover the best fruit California has to offer. Blending fruit allows us to play to the gallery of flavors available from each unique vineyard site and create wines of great depth and consistency. Our mission is to capture expressions of California terroir in each glass, from the coastal influences to the peaks and valleys of the golden state. Each lot is harvested and fermented separately in order to maintain the integrity of every vineyard site and develop the unique aromas, flavors, and textures of the fruit. 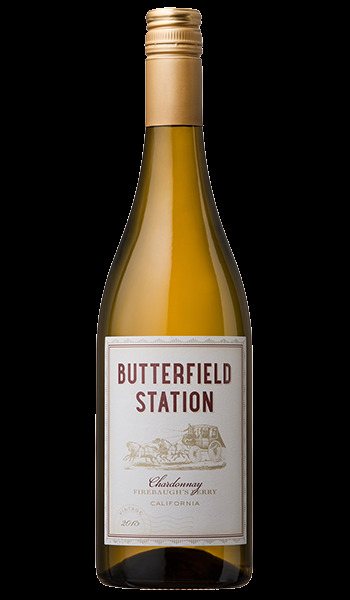 The name Butterfield Station is deeply ingrained within this history of California. The historic Butterfield Overland Stagecoach Line, established in 1858, was the first transcontinental route from the Mississippi River to California that carried settlers to the great American West. 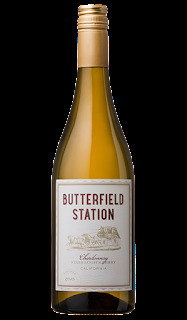 Named for the stations along this historic rail line, our wines personify the promise of California and the new frontier. Located in Central California, Firebaugh’s Ferry was a crucial trading post along the historic Butterfield Overland Stagecoach Line. California entrepreneur Andrew J. Firebaugh established the ferry on the San Joaquin River for passengers traveling from San Francisco to St. Louis. It served as an integral passageway in the western migration and the movement of freight and grain up and down the west coast.